A sunny, cloudless, warm day and beautiful clear mild evening with a bright crescent moon brought out 66(!) 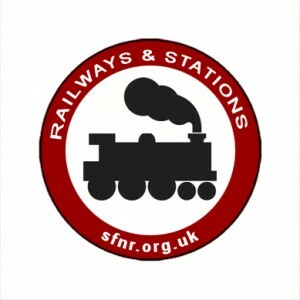 nightriders for Simon’s Railways and Stations FNR – the first in summer time. Is it just me or do others feel there is a joy and inspiration from being part of a crowd/posse/peloton that size which has the simple and profound aims to enjoy cycling, our city and our companionship? Ooh, I’ve come over all emotional. Lost for words. We did take over the streets, and so many who saw us pass by or met us at pubs and halts were pleased to see us as they applauded, waved, and chatted. There were a few knobheads in cars but with that many of us nearly all drivers’ behaviour was courteous and respectful. if anybody has reactions, observations they want to send me please do. Thanks to Mike Lancaster for shoooting and editing this. Heads up! Not all on roads some paths but no rougher than Sheffield roads! Twentywell Lane up to the Castle Inn is a steep climb but a fabulous descent. The rest of the gradients are fine. Welcome to the Sheffield Stations (South) Ride – the First of Four. Although Railways were invented in the North of England, with the Stockton & Darlington (1825) being the first railway as we know them and the Liverpool & Manchester (1830) being the first inter-city passenger railway. Both of those railways are still in use today. Later on they reached the South of England, which of course immediately latched on to them and tried to pretend they were a Southern invention. Ain’t it always the same? However, Sheffield was a relatively late arrival on the railway scene. The geography to the west and south presented engineering obstacles and the first railway came in from Rotherham to a station on the Wicker. In 1870 Sheffield Midland opened, following the opening of the Bradway tunnel.The Totley tunnel opened in 1893. So the railways avoided Sheffield at first, maintaining Sheffield’s reputation of being Britain’s best-kept secret. Later on of course the M1 motorway also skirted around the place, with the Parkway being added as an afterthought, and it could be said that the National Cycle Network has done likewise, with the main route skirting around the north and east off the city. In 1899 the Great Central railway – formerly the Manchester, Sheffield and Lincolnshire – opened its London Extension – a little branch heading south from from the mainline – offering a further opportunity for Londoners to escape the Blighted South and head Up North, but as it offered faster journey times to London on more comfortable trains, and later, fast electric trains to Manchester, it was never really popular. After all, with Sheffield being such a wonderful city, and being placed in God’s Own County, Yorkshire, who would want to leave? Nevertheless the railways played a crucial part in Sheffield’s development as a major industrial city. One of the things that distinguishes Sheffield nowadays is that nearly all of the railways are still in use. The passenger network is thriving and steel and coal are still transported through the city by rail as well as limestone from the Peak District and that major economic output of the 21st century, garbage. With so few corridors available to the iron road, we don’t have the network of disused railways suitable for conversion to cycle routes that cities such as Edinburgh, Manchester, Liverpool, York and Bristol have benefited from. This ride will take us alongside those corridors and visit some of the sites of railway stations, some disused, some in use and ripe for further development, and some potential sites that have yet to be developed – with suitable refreshment stops of course! The station was opened in 1870 by the Midland Railway and was the fifth and final station to be built in Sheffield City Centre. It was designed by the architect Charles Trubshaw. The station was built on the ‘New Line’ which ran between Grimesthorpe Junction, on the former Sheffield and Rotherham Railway, and Tapton Junction, just north of Chesterfield. This new line replaced Midland Railways’s previous route, the ‘old road’, to London, which ran from Sheffield Wicker station via Rotherham. The new line and station was built despite some controversy and opposition locally. The Duke of Norfolk who owned land in the area insisted that the southern approach be placed in a tunnel and the land known as The Farm landscaped to prevent the line being seen. Some years later the tunnel was opened up into a cutting. The Town Council was so concerned about the eastern side of the town being cut off from the town centre that they insisted that public access be preserved across the railway site. The station, along with Pond Street Goods Depot, opened on a damp and cold day without any celebrations. Originally there were different entrances for passengers of different social classes. The original station buildings can still be seen on the island platforms 2 to 5. The station was given two extra platforms and a new frontage in 1905 at a cost of £215,000. The enlargements consisted of creating an island platform out of the old platform 1 and building a new platform 1 as well as a new entrance. Offices were built at the north end of the 300 feet (91 m) long carriage way rooftop. A large parcels office was built to the south of the main buildings. Two footbridges connected to the platforms, the one to the north for passengers, the one to the south for station staff and parcels employees. The tracks were covered by two overall roofs. The oldest and largest spanned platforms 5 and 6, an identical structure can still be viewed today at Bath Green Park railway station. The second platforms 1 and 2. Wartime damage put the rooftops beyond economic repair, so they were removed in the autumn of 1956 and replaced by low-level awnings. Totley and Bradway TunnelsTotley Tunnel is a 6,230-yard / 3.5 mi; 5.7 km tunnel on the former Midland Railway Manchester-Sheffield line between Totley on the outskirts of Sheffield and Grindleford in Derbyshire, England. It was completed in 1893 and was the longest mainline railway tunnel within the United Kingdom that ran under land for its entire length: the eastern London tunnel of High Speed 1 now holds this title. It is therefore the longest non-electrified tunnel in the UK. The contractor for 10.5 miles (16.9 km) of the railway, including the tunnel was Thomas Oliver of Horsham, West Sussex. Work began in 1888 with the construction of three brick-built surveying towers along the proposed line of tunnel, followed by a number of vertical shafts to the level of the rails. The Duke of Rutland had decreed that no more than one ventilation shaft should be sunk through his moors (and that work should cease from August to October, during the grouse shooting season). Initially four permanent and three temporary shafts were sunk near to the Totley end. The latter were cut through shale, and water was encountered in the first eight feet. The permanent ones took longer, encountering beds of ganister, coal, and rock. As the initial 10 by 9 feet (3.05 by 2.74 m) headings were driven outwards from the base of each shaft, water flow increased to some 2,250,000 gallons per day (7,100 L/min). At the Padley (Grindleford) end, the situation was little better, work stopping for several weeks until a drain was laid. Then at about 2,000 yards (1,829 m) a spring was encountered which flooded the workings at 5,000 gallons an hour (380 L/min). A raft had to be used to inspect the workings. Shortly after this the shale became drier and work proceeded toward Totley, the headings finally meeting in 1892. The tunnel was the proving ground of a number of boring machines for the shot holes, using gelignite to blast the rock. No limit was set on the amount, and in all some 163 long tons (183 ST; 166 t) were used. The atmosphere in the workings was hot, as well as humid, with compressed air used for ventilation, though, for a time at the Padley end, a turbine was installed in the Burbage Brook to drive a fan. During the construction of the tunnel a natural cavern was discovered that was several hundred feet in area so it was decided to incorporate this into the design and a large air shaft was installed to the surface at this point. The entrance to the cavern can still be seen now on the Up side (towards Sheffield) of the tunnel half way through. Because of the damp conditions, there were outbreaks of typhoid, in addition to diphtheria, smallpox and scarlet fever, not helped by the fact that accommodation was scarce, and the workers were living often twenty to thirty in a house. Working 24 h shifts, as soon as one man got out of his bed, another would take his place, with little in the way of washing or sanitary facilities. Because of its length, in addition to the Midland’s normal block system, signal wires were installed which, when cut, caused alarms to ring in the signal boxes at each end. The same system was used in the shorter Cowburn and Clay Cross Tunnels. The Bradway Tunnel, 2,027 yards (1,853 m) long, was built in 1870 about 1-mile (1.6 km) north of Dronfield, Derbyshire, in South Yorkshire, England. It is at the summit of the Midland Main Line between Chesterfield and Sheffield, on what is known to railwaymen as the “New Road” built by the Midland Railway to serve Sheffield, which was bypassed by the North Midland Railway’s “Old Road” due to the gradients involved. During its excavation a number of small heading tunnels were needed to drain some 16,000 gallons of water an hour. At the north end is the triangular junction with the Hope Valley Line and Dore station. Northwards the line proceeds down a 1 in 100 gradient, through the abandoned Beauchief, Millhouses and Heeley stations, into Sheffield Midland station. Dore and Totley station opened as Dore and Totley station on 1 February 1872 (at a building cost of £1517 and £450 for 2 acres (8,100 m2) of land) on the then two year-old Midland Main Line extension from Chesterfield to Sheffield, and was initially served by the local services on this line. The station was then served by six or seven weekday trains and three on Sundays. In 1894 the station became the branch point for the new Dore and Chinley line (now the Hope Valley Line). The original northbound platform was converted to an island platform and a fourth platform was built to the west. On 9 October 1907, a Sheffield to Birmingham and Bristol express train ran foul of the points at the station. One of the locomotives hit the platform and overturned. The driver and the second man were thrown from the cab but survived, and the passenger coaches fortunately stayed upright with no passengers injured. The station was closed to main line traffic and become an unstaffed halt in 1969. Subsequently, the island and eastern platforms were demolished in the 1980s. Mainline services from the South therefore can no longer stop at the station and the Hope Valley Line now runs single-track (it was singled in the mid-1980s) through the station, with trains in both directions stopping at the one remaining platform. The photograph (right) is taken from the South and shows the remaining platform on the Hope Valley line and none on the mainline. The single track section through the station has become a significant bottleneck in capacity terms in recent years (as mentioned in the recent Yorkshire & Humber RUS) and Network Rail is hoping to address this by re-doubling the section concerned and building a second platform (subject to funding being obtained ). South Yorkshire PTE has also been lobbying for this problem to be addressed (as noted in its 2006 Rail Strategy document). The station site had previously been occupied by the Walk Mill, a water-powered mill in operation from the 1280s onwards was used by the monks of Beauchief Abbey to cleanse and thicken cloth. The name “Dore and Totley” was restored in April 2008 when the station received new Northern Rail-branded running in boards. Plans are being drawn up to double the size of the station by 2014. A additional platform, new DDA compliant footbridge, and 100 space car-park are to be provided. We have hopes that Dore can become a model of sustainable transport, with access to the Bridleways of Ecclesall woods, better cycle facilities, the Bike Tree shop adjacent, better bus links and more trains. The station has already become popular with commuters to Manchester, and the journey time to Sheffield is unbeatable. Beauchief & Abbey Dale station. The station was opened on the site of Hutcliffe Mill  at the same time as the main line from Chesterfield. At opening it had 2 platforms but this was increased to 4 with the widening which took place between 1901 and 1903. It closed on 1 January 1961, and the site is now occupied by a nursing home, although the nearby Abbeydale Station Hotel survives as the Beauchief Hotel. Millhouses railway station was a railway station in the Millhouses district of Sheffield, South Yorkshire, England. When the station opened in 1870 it was called Ecclesall, but this was changed, first to Ecclesall & Millhouses, later Mill Houses & Ecclesall before becoming Millhouses and Ecclesall. It was situated on the Midland Main Line between Heeley railway station and Beauchief station, and was accessed from the Archer Road overbridge, near the junction of Abbeydale Road and Millhouses Lane. The station was opened at the same time as the main line from Chesterfield with just 2 flanking platforms. Between 1901 and 1903 the line was widened and two lines added. The station now consisted of 4 platforms with two flanking platforms and an island platform in the centre. The station buildings were situated at road level with access by steps to the island platform. The station closed on 10 June 1968, and remained derelict for many years. The station buildings and platforms were finally removed in the 1980s, but the stationmaster’s house survives as a private home. There have been numerous plans to rebuild a station, going as far as a feasibility study in 1997, but so far none have come to fruition. Heeley railway station was a railway station in Sheffield, South Yorkshire, England. The station served the communities ofHeeley, Meersbrook and Lowfield and was situated on the Midland Main Line near London Road on Heeley Bridge, lying between Sheffield Midland station and Millhouses railway station. The station was opened at the same time as the main line from Chesterfield was opened in 1870. At opening the station had two platforms but following the widening which took place between 1901 and 1903 this was increased to four. Heeley station was unusual as it was an elevated station with subway access from below to the platforms. It closed in June 1968 at the same time as Millhouses railway station. The station building still exists and is used as a spare car parts shop, though no trace remains of the platforms. The subway is also still present although both entrances have been blocked in; the entrance on London Road can clearly be seen and iron railings are present, as well as lots of trees which grow there now. The station was built high up alongside London Road, a major arterial road (previously called London Road South), and the massive railway stonework dominates the district of Heeley Bottom. When it was built the main road and River Sheaf were diverted so that the station had enough space for all its platforms and sidings. Today all that can be seen is an overgrown forbidden wasteland with the modern railway running through the middle on a pair of lines. At either end of the former station are the remains of huge railway bridges which still stand in part, where the slow lines ran alongside the remaining fast line. The station entrance was opposite a cinema, the Electric Palace. Unlike the Beauchief and Millhouses stations further south down the line, few pictures exist of Heeley station in operation because of its elevated position, the other two stations were alongside road bridges which the platforms could be photographed from, whereas Heeley station was the tallest structure in its surroundings. Heeley Development Trust have plans to create a sustainable travel centre in the old station buildings, should the station ever re-open. Sheffield Victoria was engineered by Joseph Locke. The Sheffield, Ashton-under-Lyne and Manchester Railway linking Manchester and Sheffield opened in 1845. Originally, this line terminated at the Bridgehouses station about 1 km to the west of the future Victoria station. In 1847, the Sheffield, Ashton-under-Lyne and Manchester Railway merged with two other railway companies to form the Manchester, Sheffield and Lincolnshire Railway. The station at Bridgehouses had been outgrown and an extension and new station were planned. John Fowler, who later gained fame for co-designing the Forth Railway Bridge in Scotland, was employed to engineer the extension and station. Fowler’s design included a 40-foot high, 750-yard viaduct over the Wicker and two island platforms 1000 ft long. The extension was completed in 1847–1848 and the new Victoria station opened on 15 September 1851. The station gained a 400-ft-long ridge furrow patterned glass roof likened at the time to The Crystal Palace (in London) which spanning the main line platforms in 1867 and was further enlarged in 1874, the well-known railway contractors Logan and Hemingway being awarded the contract. The station received a new frontage in 1908 and took on great importance when the line through the Pennines—known as the Woodhead Route after the long Woodhead Tunnel on it which was electrified for freight purposes after World War II. In 1965 the second Beeching Report recommended that the Sheffield to Manchester service be consolidated; after much local wrangling British Railways favoured the Hope Valley Line which was slower and not electrified but served more local communities. In 1967, plans were announced to withdraw passenger services along the Woodhead route. Following public outcry, an enquiry was launched that took two years to be completed. Eventually the enquiry backed British Rail’s plans and passenger services were withdrawn from the line on 5 January 1970. The last train to Victoria station, an enthusiasts’ special, arrived at 00:44 on 5 January and from that point the station was closed. Could it however become the location of Sheffield’s High Speed Line 2 station? Time will tell.